Broken windshields or damaged windows are not only an eye sore, but they can also be dangerous. At Gulf States Glass we can help mend the problem quickly and affordably. We can assist on all makes and models of cars and trucks. We accept most insurances too, with little or no deductible depending on your policy. We will come to your work or home, prepared to replace your old glass with your properly fitted brand new glass. Our technicians have the skill, experience and equipment to handle the job efficiently and to your satisfaction. At Gulf States Glass, we do all we can to ensure your safety and satisfaction with every auto glass job. 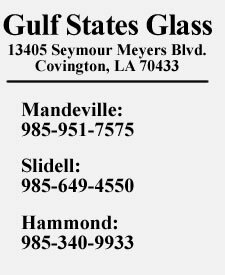 If you have any questions for our staff, give Gulf States Glass a call and we’ll be happy to assist.